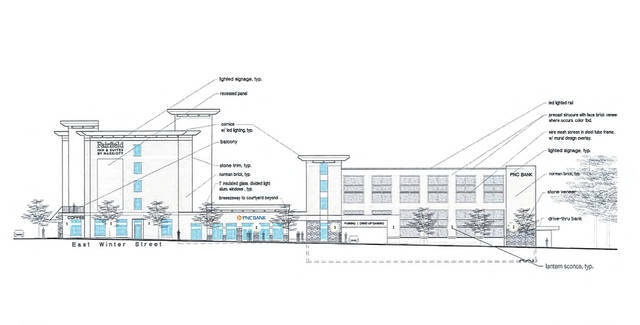 At next week’s HPC meeting, the commission will consider a proposal by Fairfield Inn and Suites by Marriott to construct a five-story, 104-room hotel on the northeast corner of East Winter and North Union streets. The hotel would face North Union Street and stretch north from the corner of East Winter Street into what is currently the parking lot for the City of Delaware Justice Center. 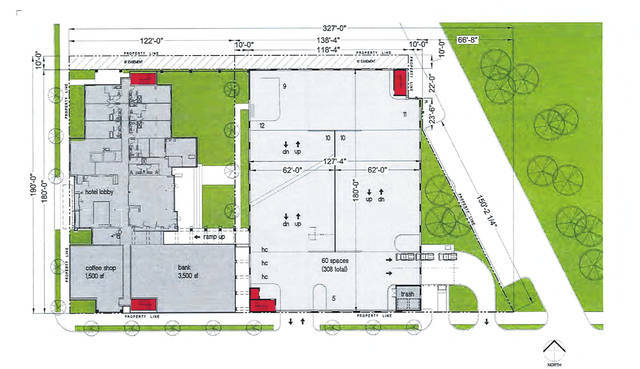 In addition to the hotel, the proposal is asking for a detached four-story, 300-car public parking garage to be constructed directly east and behind the hotel, across from the Delaware County District Library building. Wednesday’s HPC meeting is scheduled for 7 p.m. at Delaware City Hall. The Gazette will continue to follow the proposal as it works through the development process.